The urgency facing European Canadians is more severe than I imagined. 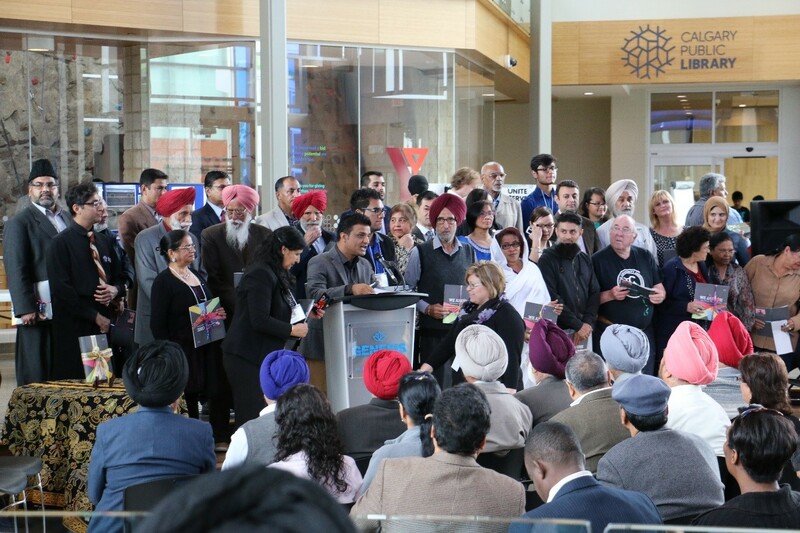 On Friday, March 15, 2019, I published a live video of an ethnic enclave in Calgary on the National Citizens Alliance’s (NCA) Facebook page. This particular ethnic enclave with an 81% visible minority population mirrors almost exactly the demographic reality that Dr. Duchesne and Dr. Kaufmann have been warning about: sustained mass immigration of 200,000 plus since the 1990s is causing the replacement of Canada’s traditional Euro heritage population with third world immigrants. As Dr. Duchesne and Dr. Kaufmann state, if this is allowed to continue unabated, by 2100 visible ethnic minorities similar to this Calgary enclave will become an 80% super majority population, while Canada’s traditional Euro heritage population will be relegated to a 20% minority. This transformation represents a radical change in the demographic make-up of Canada. 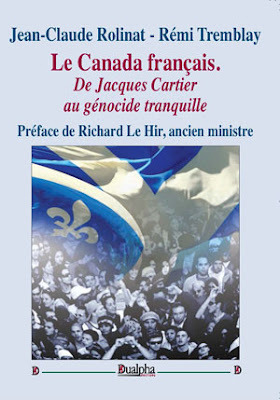 According to Dr. Duchesne from his book Canada in Decay (2017), the transformation is unprecedented in world history in that consecutive Canadian federal governments are actually replacing the people they are supposed to serve. In addition, according to Dr. Kaufmann, Canada is undergoing the fastest ethnic change in the Western world. Through the NCA ethnic enclave video, I was given a rare glimpse into what Canada would look like if this radical demographic transformation occurs. It will not be a hospitable country if you are a European Canadian. You should be alarmed at what may be coming. In my opinion, Canada is heading down a similar path to South Africa, where the Boers are presently being persecuted, robbed, tortured, and murdered with the tacit consent of the SA government and opposition parties under the guise of righting past social wrongs. It should be noted that according to Dr. Kaufmann, four out of five immigrants coming into Canada are from the third world. Further, it doesn’t matter which establishment party or controlled opposition is in power federally. All these parties support mass immigration of at least 250,000 a year not including illegal migration and chain migration. Case in point, the Stephen Harper regime, which pretended to be nationalist and supportive of old stock Canadians, had historic mass immigration (highest levels in 100 years) from 190 countries with the Philippines, India, China, Islamic Republic of Iran, and Pakistan in the top five of immigrant home countries. In comparison, the Justin Trudeau regime has had historic mass immigration (slightly higher than the Harper regime) from 190 countries with the Philippines, India, Syria, China, and Pakistan in the top five of immigrant home countries. Today, in 2019, it is far worse: Canadian cities are becoming massive Ethnic Enclaves where Whites are hated. The comments are evidence of the dark reality not far off in the horizon for European Canadians, First Nations, Inuit, and Metis, if this radical replacement is not stopped. Further still, on March 21, 2019, the federal government announced that it is expediting legislation to remove “hateful and extremist” online content and “toxic communication” that “incites violence” and harms “social cohesion” including assertions to “replace” and “subjugate white people.” Also, the government encourages all social media companies to censor anyone or any group that mentions population replacement. In the words of Public Safety Minister, Ralph Goodale: “This has been a subject of discussion among ministers at the Five Eyes meetings and at the G7 meetings where ample discussion has been held on how we encourage the social media platforms to move quickly and efficiently to deal with toxic communications like this [assertions to “replace” and “subjugate white people”] that incite violence and hatred and obviously do great damage to social cohesion.” Again, there is a false equivalency being drawn between established facts on demographics/population replacement and the recent New Zealand mass murder. Welcome to Canada’s growing censorial Orwellian dictatorship. I hope this information will be a wakeup call to all Canadians in regard to the dire threat that looms in our future. The National Citizens Alliance of Canada supports a national dialogue on Canada’s demographic reality and immigration policies. We do not believe that Canada and its future should be dictated by the establishment and its multi-controlled opposition. National Citizens Alliance is the only federal party running in 2019 that supports an end to mass immigration by reducing immigration to 50,000 or less in total per year, and a stop to the replacement agenda. NCA’s success can only be derived from the support of the Canadian people. Please heed our warning and join our efforts. The future of our children and their children are literally in the balance.